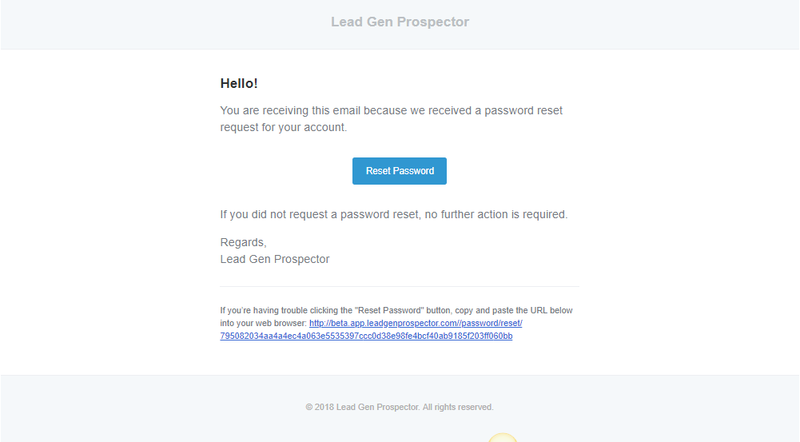 How do I reset my password for Lead Gen Prospector? To reset your password, go to https://app.leadgenprospector.com/login and click "Forgot Password". If you do not receive an email, please contact support.